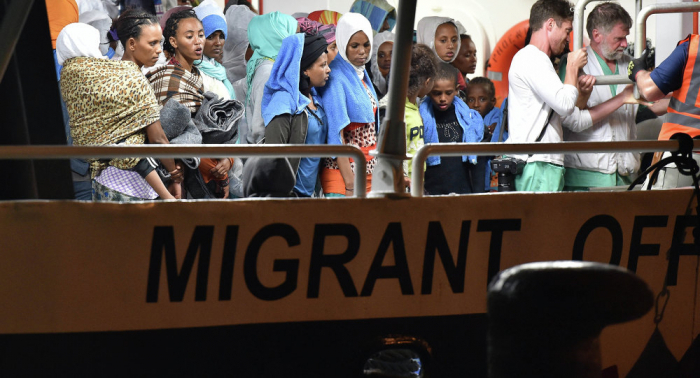 Italian authorities refuse to accept migrants from a ship belonging to German non-governmental organization Sea-Eye, Italian Deputy Prime Minister and Interior Minister Matteo Salvini said on Wednesday. "A ship under the German flag, a German NGO, a German shipowner, a captain from Hamburg. He conducted an operation in Libyan waters and asked for a safe port. Well, let him go to Hamburg," Salvini wrote on Facebook.